Casio has launched a new addition to their range of G-Watches in the form of the newly available Casio GBA-400 G-Shock that is fitted with a high contrast digital display for visibility and improved Bluetooth wireless connectivity of up to 30 meters. The Casio GBA-400 also features a twist dial to control music play back via the companion app on users smartphones via the G-SHOCK+ and G’MIX apps. The Casio GBA-400 is also capable of listening to the music being playing around you, and using SoundHound whilst connecting to your smartphone to identify the title of the song and display the tunes name on the watch’s screen. 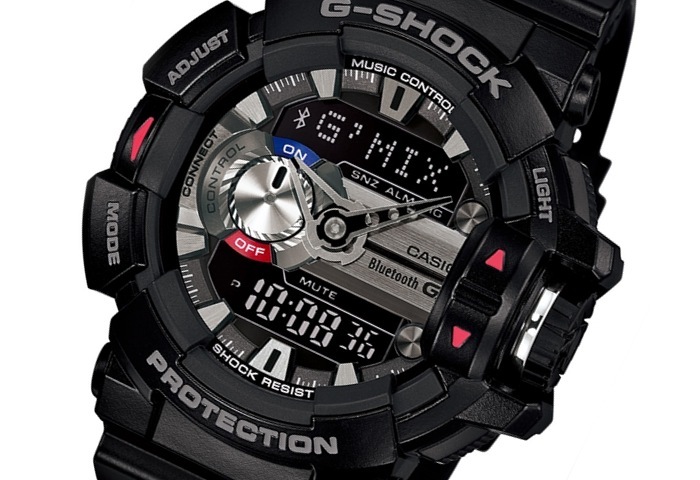 The Casio GBA-400 G-Shock watch will be available from September 19th 2014 and will be priced at ¥23,000 or roughly $223. 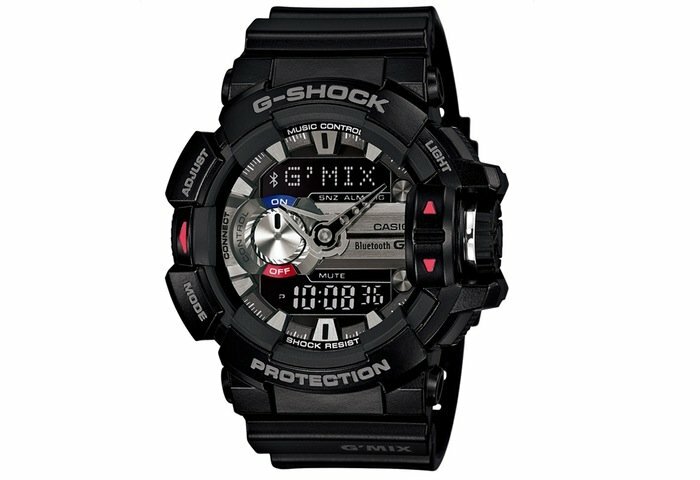 Casio explains a little mores about their G-Shock range of watches. “CASIO’s shock-resistant G-SHOCK watch is synonymous with toughness, born from the developer Mr. Ibe’s dream of ‘creating a watch that never breaks’. Over 200 handmade samples were created and tested to destruction until finally in 1983 the first, now iconic G-SHOCK hit the streets of Japan and began to establish itself as ‘the toughest watch of all time’. Each watch encompasses the 7 elements; electric shock resistance, gravity resistance, low temperature resistance, vibration resistance, water resistance, shock resistance and toughness. The watch is packed with Casio innovations and technologies to prevent it from suffering direct shock; this includes internal components protected with urethane and suspended timekeeping modules inside the watch structure. 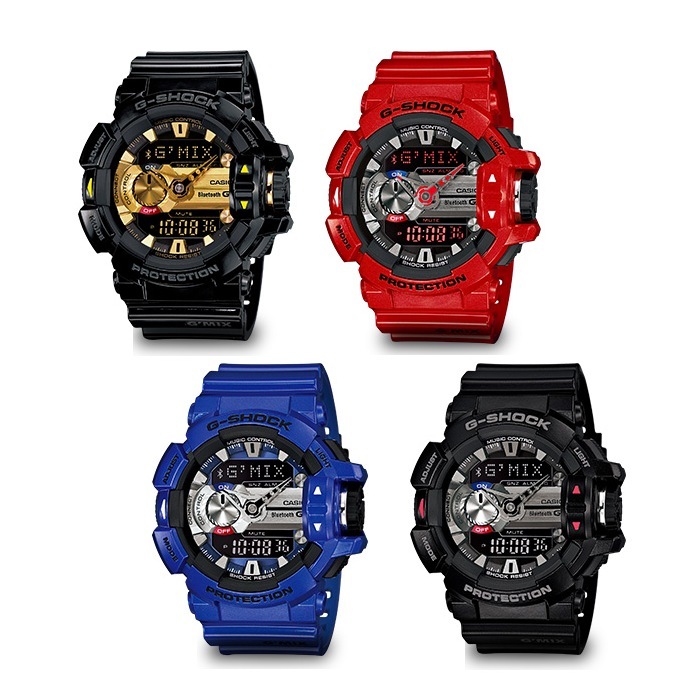 Since its launch, G-SHOCK has continued to evolve, continuing to support on Mr. Ibe’s mantra “never, never give up”.